Here at Contentworks, we love an exciting networking opportunity as much as we enjoy staying on top of the news and keeping up-to-date with innovations that could shape our world. 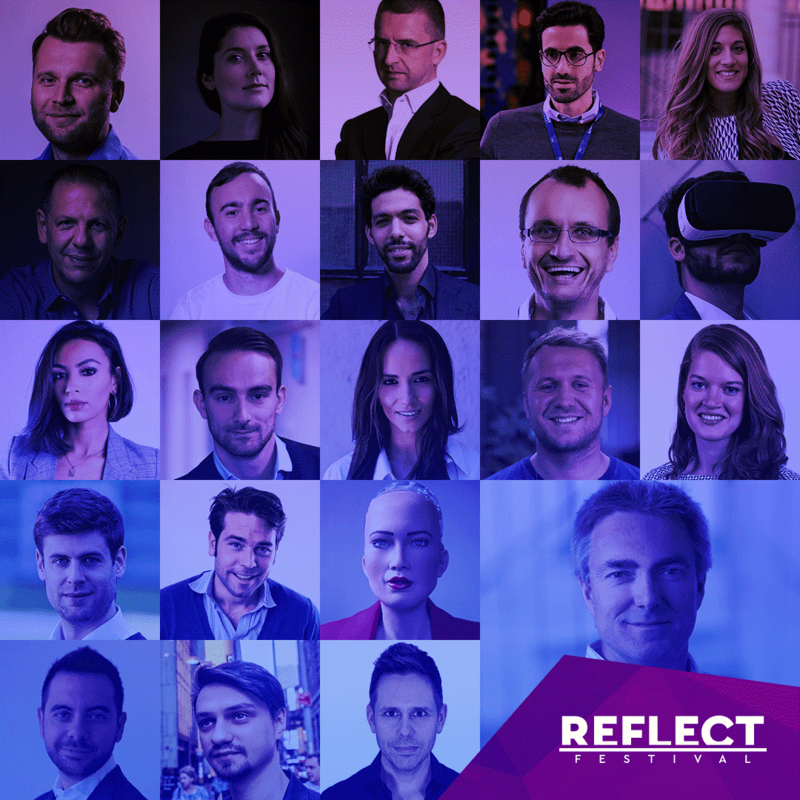 That’s why we’re thrilled to be media partners with Reflect Festival which will take place from 9-10 May 2019 at the Carob Mill in Limassol, Cyprus. Here’s what’s happening! Dubbed the ‘largest future casting festival between Southern Europe and the Middle East,’ Reflect Festival will unite trendsetters, decision-makers, pioneers and revolutionaries to challenge the status quo of our time and introduce a whole new world of possibilities. Set to be a ground-breaking event, Reflect Festival will shake up normality and delve into the future of many different fields including Artificial Intelligence (AI), health and wellbeing, cities, travel, sustainability, money and impact. Reflect Festival will light up the sunshine island of Cyprus with ideas that are sure to blow your mind. But what can you expect from the summit? With over 1000 attendees from across the globe expected to flood to Limassol, Reflect Festival is the perfect place to mingle with like-minded people in a friendly environment. Attendees will include entrepreneurs, managers, innovators, students, future enthusiasts, tech experts and more. Those creating innovations of the future will gather to inspire your mind. Reflect Festival will welcome 55 speakers from over 30 different countries including innovators prepared to push boundaries. 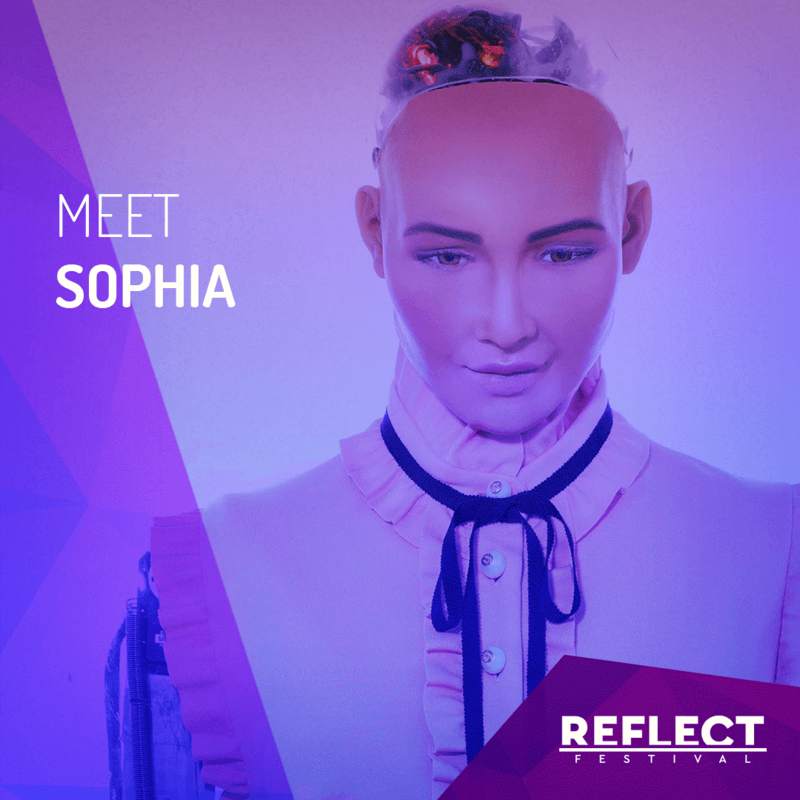 Sophia is Hanson Robotics’ most advanced human-like robot. She is renowned for her remarkable expressiveness, aesthetics and interactivity and through robotics, AI and artistry can create an array of facial expressions. As a vessel for AI research and development, she has become a recognisable media personality of late and has made numerous TV appearances on top shows including The Tonight Show Starring Jimmy Fallon and Good Morning Britain. She has spoken at many conferences and has also addressed members of the UN, ITU and NATO! Reflect Festival also gives attendees a glimpse into the future by letting them try on the newest technologies not yet available to the public. Why not also ask Sophia the Robot a question? The world is evolving at a rapid rate. Just look at blockchain technology and how rapidly that’s infiltrating businesses. As a marketing agency dedicated to finance and tech, it’s really important to keep an eye on the latest trends to see how they could influence our future. We’re really excited to be partnering with such an inspiring summit that’s sure to delight Cyprus. Contact the Contentworks team today to arrange a meeting at Reflect Festival.